The Australasian World Music Expo (AWME) will take place in Melbourne from 18-21 November, 2010. Now in its third year, AWME is the Australia-Pacific region's premier music industry conference and showcase of Indigenous, roots and world music, and a major event which cements Melbourne's reputation as Australia's live music capital. Bringing together musicians, industry representatives and festival audiences from across Australia and around the globe for three days of the finest music from the Australasian region and beyond. AWME is a unique event which has been described as the South by South West of world and Indigenous music. By day, AWME is a trade fair which attracts some of the world's most prominent and influential festival bookers, talent agents, record labels and media for workshops, panel discussions and industry networking. By night, AWME transforms a variety of Melbourne venues into a festival showcase in which delegates and music fans rub shoulders and sample some of the most exciting world, Indigenous, roots and folk music the planet has to offer. The benefits for showcasing bands are potentially enormous; as a result of performing at AWME, many artists scored enviable performance slots at prestigious European, North American and Asian festivals as well as touring and recording opportunities. 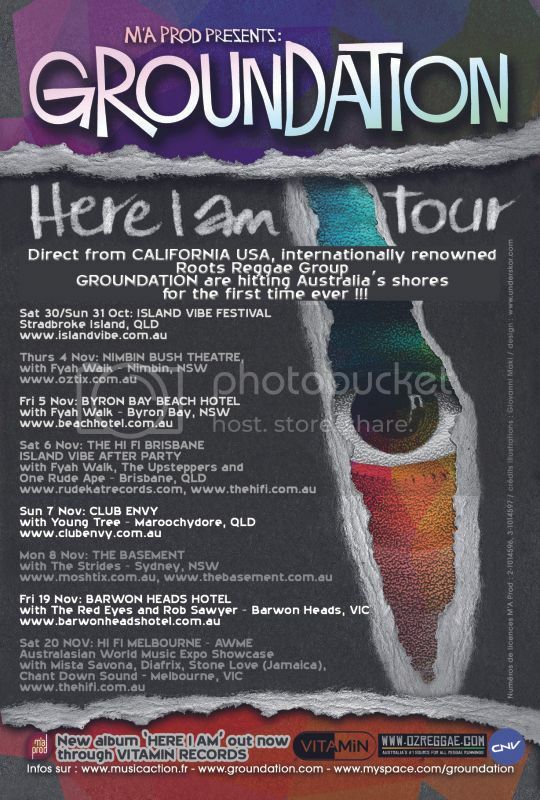 Showcase concerts are scheduled for the 18th, 19th, 20th and 21st of November 2010 and speaker forum sessions will take place on Friday 19, Saturday 20 and Sunday 21 November 2010.
i hope dat the mighty stone love are playn inna sydney, first sound mi see live at house of leo kingston ja 1993. Big ups Simon Raynor for this!! Don't forget Stone Love and Rootz Underground on Saturday night ... boom !